Discussion in 'Mac Apps and Mac App Store' started by Toebex, Jan 10, 2015. So I asked a similar question before, but I worded it very badly. This is my situation in a nutshell. I backed up two internal drives with Time Machine on an external drive. 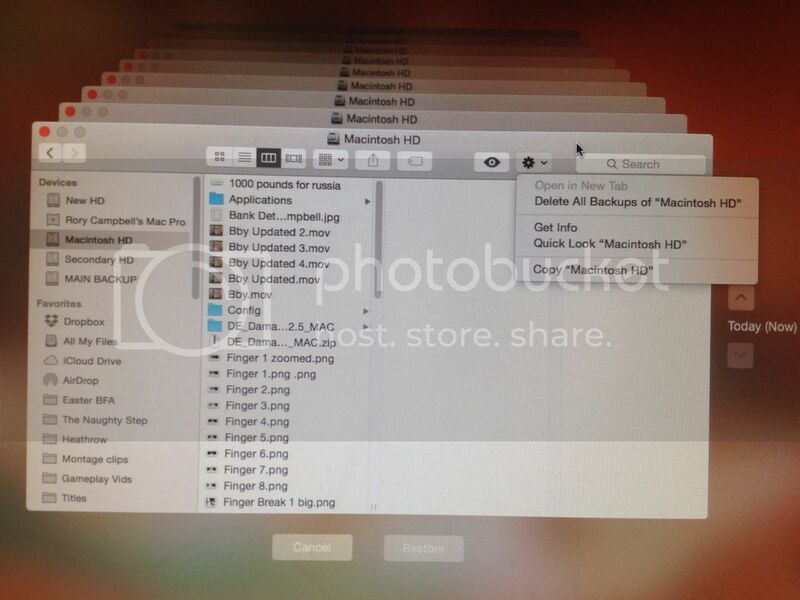 I then cloned my startup drive to upgrade to Yosemite. I no longer need to backup my old drive that I cloned from. It doesn't recognize the new drive as the old one? I believe it should because you mention that it was cloned. Can I ask by what method did you clone it? Perhaps I misunderstand, but why can't you just use Disk Utility to erase the Time Machine partition you no longer want. That'll give you room for whatever new stuff you want to put on there. If you don't need the old backups, just delete them in Finder or Disk Utility. Time Machine won't delete the old sparse bundles on its own. My external hard drive I use to back up is purely for Time Machine. On disk utility, in the Partitions area for that hard drive, it is just the name of the drive. Its really hard to explain. Essentially, I am backing up two internal hard drives and I want to now delete one of the drives' backups so I can backup a new one. I used Carbon Copy Cloner to clone my old drive. When I go to use time machine to back up, it just adds the new hard drive (which was cloned) to the list and when I make sure not to back up the old drive anymore, it doesn't replace it. It just keeps it there while I backup the new one. Sorry if this is confusing, its hard to explain. Thank you for helping me though! There are so many copies of the old backups though in so many folders. Im not sure how Time Machine organises its stuff, but it seems like literally just dragging and dropping every single folder containing backups of my old hard drive seems like it wouldnt work. Again, sorry if i'm being a pain, it just seems like there is a better way of doing this. When I enter time machine, I have the option to "Delete All Backups of Macintosh HD"
Macitosh HD being my old drive, is this what I want to do? Or will this delete everything on the drive? If you don't want them, follow the prompt and delete them all. It will only delete the old backups. If you want to erase the entire drive, you can do that in disk utility. Sounds great, I will give that a shot when I can. Thanks everyone for all your help!